Should States Lower the BAC Limit for DUI Charges? But the National Transportation Board is saying that limit isn’t low enough. Included on its “Most Wanted List of Transportation Safety Improvements in 2016” is its desire to “end substance impairment in transportation.” That includes adopting a 0.05 BAC as the national standard for DUI. 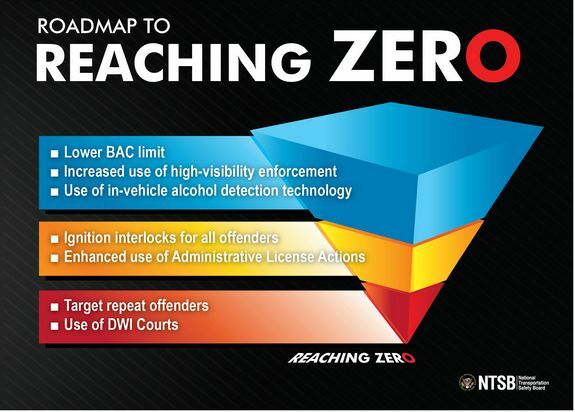 To back up its argument, the NTSB refers to a 2013 AAA Foundation for Traffic Safety survey, which showed that 13 percent of drivers said they thought they had driven close to or over the legal BAC limit in the previous year. The NTSB also quotes the Centers for Disease Control and Prevention, which has said that drivers make about 112 million alcohol-impaired trips each year. But it looks like NTSB faces an uphill battle in convincing the public–and state governments, which would have to pass the legislation–that the lower BAC is a good idea. One of the strongest anti-DUI organizations, Mothers Against Drunk Driving, hasn’t officially endorsed the lower limit. So for the foreseeable future at least, California’s BAC level for DUI charges–defined in California Vehicle Code 23152(b)--is likely to remain at .08.